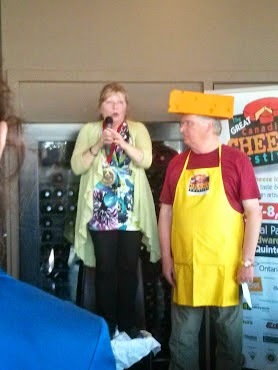 This year is the 4th annual Great Canadian Cheese Festival in Picton Ontario. On June 7th and 8th you can sample some of the best artisan cheeses in Canada. There will be more than 125 different cheeses for tasting and purchase including Le Baluchon, the Cheese of the Year made by Fromagerie F.X. Pichet of Sainte-Anne-de-la-Pérade, Québec. Marie-Claude Harvey, who owns the fromagerie with her husband, Michel Pichet, will be the guest of honour at Makers+Mongers, the Festival's Saturday evening function celebrating the men and women who make and sell artisan cheese and artisan foods. I got to sample this at the launch event for the festival and you won't want to miss it! Aside from tasting all these delectable cheeses and meeting the cheese-makers, what can you expect at the festival this year? Artisan Food - more than 50 artisan producers will are participating this year with a wide range of products - I recommend the Kawalsa salsa! yum! Wine - not only can you sample it, this year there will be sales of VQA wines by the bottle or case by wineries as part of the pilot project initiated by the Ontario government to promote locally-grown wines. 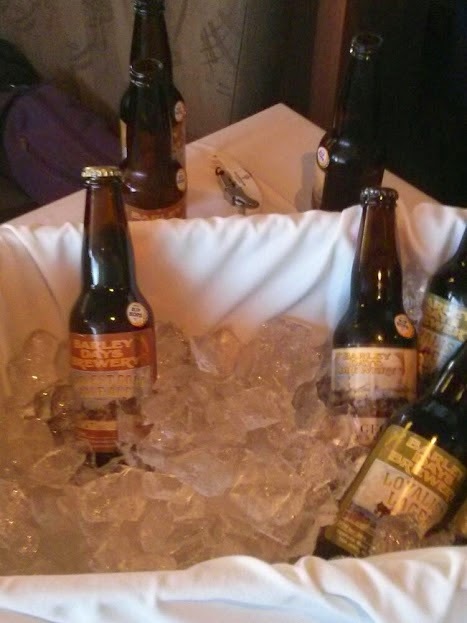 Craft Beer - attend a tutored tasting or sample during the fair! Educational cheese seminars presented by Dairy Farmers of Canada. This year you can rest and recover from all the sampling in the Festival's new Presentation Pavilion while listening to local musicians. The Festival's own Cheese Dairy Farm featuring cows, goats, sheep and Yvette, the sweetest water buffalo you'll ever meet. If you don't want to drive the 3 hours from Ottawa to the festival, on Saturday June 7th, you can hop on Savvy Bus where you'll not only take part in the festival but will tour the back roads of The Country to visit 2 wineries, then back to the Crystal Palace for a fun dinner at the all-new Makers+Mongers serving up even more opportunity to mix & mingle with folks in the cheese biz while noshing on gourmet creations. Each dish will feature one of the top winning cheeses from the Canadian Cheese Awards. Click here for Tickets and information on the Savvy bus tour. Have fun and Say Cheese!! !